Everyone and their friends have probably written about their favourite WordPress plugins – plugins one can not do without. However, this list is slightly different. Here, I present to you five wonderful plugins, which I feel haven’t received the spotlight that they deserve. In fact, a quick search on Technorati revealed that these plugins havent been covered by any English blog in Technorati Top 500. Future Post is a very useful feature present in WordPress blogs that allows scheduling of posts. In order to use future post all you need to do is to set a future date while publishing the post. Several High Profile bloggers have already covered future posts, so I wont elaborate on it (if you wish you can check out article on this topic at ProBlogger). 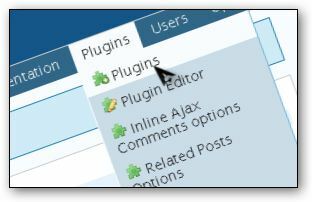 Instead I am going to present a little known plugin that should help bloggers using Future Posts extensively. This plugin helps you in scheduling future posts by adding a month by month calendar to the “Edit Posts” page that shows all the days you have future posts for. Now, all you need to do is click on a date that doesnt have any future post assigned to it. It is a simple and light-weight plugin that makes things easier for commenters by adding a quick codes toolbar to the comment form. Nothing much to explain here. The download package contains detailed usage instructions. And if you want a demo, just scroll down . SRG Clean Archives lists all your previous posts in a neat and organised manner. Instead of having the Archives in the sidebar, I recommend putting it in a separate page. You can see SRG Clean Archives in action here. However, there is a small hiccup. If you want to include SRG Clean Archives in a page you need to also have the plugin runPHP installed. SRG Clean Archives is excellent for 404 error pages also. Update (17th May) : A new version of SRG Clean Archives has been released. Now, you dont require the runPHP plugin to use Clean Archives. This plugin allows your readers to edit their own comments. Visitors can edit comments posted by themselves for a period specified by you, and admins can always edit any comment. Moreover, since this plugin uses AJAX editing is possible inline without opening a new page. This is one plugin I wish more bloggers used as I have a habit of committing terrible and sometimes embarrassing mistakes while commenting. The navigation system in WordPress Admin Control Panel is extremely sloppy. Most of the pages are two clicks and hence two page loads away. If you want to save yourself from some frustration install this plugin.This plugin solves the problem by adding a neat and light-weight drop down menu which works perfectly in MS Internet Explorer 7, Opera 9 and Firefox 2. If you aren’t a fan of vertical drop down menus you can choose this horizontal variation (in my opinion the vertical drop down menu works much better in this situation). I do like the look of the lighter admin plugin. The layout is a bit unwieldy in the back end, especially if you have a lot of plugins. Thanks, I’ll try it out! Thanks for the mention of SRG Clean Archives. If you want to include SRG Clean Archives in a page, you don’t need another plugin, you can create a page template with it already in the code. It’s very easy to do and in the upcoming release I’m working on, I include how to do this with a sample file. If you need help before hand, let me know and I can fix you up. Lighter Admin Plugin seems to be interesting. Thanks for the info! I was so excited to see the last two (top 2) plugins listed here, only to realize they dont work for me. I use IE6 primarily (Maxthon, technically), so the Drop Down Menus don’t work. 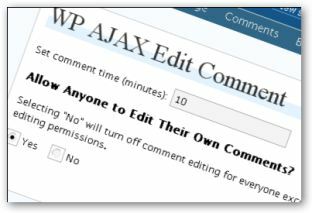 As for the in-line editing of comments, doesn’t work if you already have AJAX comments, and I’d rather have that. Other than that though, I really liek your list (added to del.icio.us)….I’m glad to see Darren’s project spawns such interesting posts! You should update the engine to Ie7, and then use Maxthon. That will solve the problem with admin drop down menu. Since, you are still using ie 6, you can use this version of the drop down menu. It uses js and hence can be heavy, but it may work in Ie6. I can not confirm it since I dont have Ie6 installed on my computer. SRG Clean Archives might be just the thing I’ve been seeking. I’m not happy with what I’ve done for archiving, but I’m still unsure how I want it to look. Perhaps a test is in order. I do like the look of yours. Thanks for the tips. This was a good list! There is a clean archive plugin from Daniel of Dailyblogtips.com it’s pretty neat actually.. In the coming days I’ll be releasing an updated SRG Clean Archives with some new features and enhancements, so keep and eye out for a post on my site. The other plugins on the list are also good. I would be certainly watching out for the new version of SRG Clean Archives. I noticed AJAXified comments that show up on your homepage on clicking View Comments. Which plugin do you use for this..? I use Inline Ajax Comments plugin for that. And also that country flag,OS and Browser icon displayed after commentators name… Which plugin you use for that? Those icons are added by Firestats. The archives plugin did give me some problems earlier. I am yet to try out the new version.. The drop down admin menus seems sleek to use..
A side-note, you remind me of the girl from hariret the spy haha. You are so sporadic in ur video. I can give u some more tips about arms exercises when I get home, there’s arm exercises w/o weights which will probably help on your cracky elbows haha. Ever wanted to download all the latest popular wordpress plugins in one file? Well now you can, head over here to read more. Hey Pallab, thanks a lot for this awesome plugins list. I will go try out LMB, might be useful as well. how is it possible to download and install all plugins with single plugin? can you suggest about the archive pages of labnol.org …how amit is managing that …is it some plugin which we do not know or it is some custom made stuff? I really wish the SRG Clean Archives plugin was kept up to date, I love that plugin, but it seems to slow down on my server whenever I use it. Since I am running on the latest version of wordpress and it has not been updated in forever! I love wordpress and have been using it for a while. I believe that WP without using plugins is not a good idea. Plugins are what make wordpress so powerfull and amazing for it’s users and readers!